This entry was posted on August 28, 2013, 4:25 PM and is filed under The Poetry of Death. You can follow any responses to this entry through RSS 2.0. You can leave a response, or trackback from your own site. 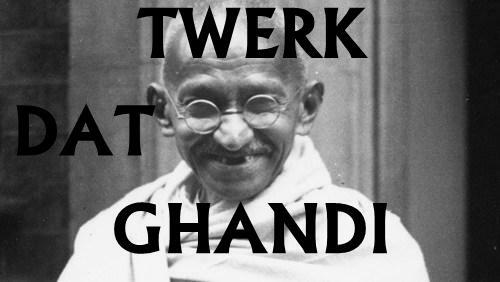 Ghandi like dat. 4 reelz. Back in the day, he wuz chokin dat … OK, you’ve just caused me two culture spasms in a row. Now what? This is probably all the Gandhi based nonsense for a while, but the career arc of Lil Abner intrigues me.